keep the blokes away from it. THE Hunter Valley's McGuigan Wines has released an interesting Shiraz that's actually made from fruit from South Australia's Langhorne Creek – and which has a touch of Viognier in it to give a softer mouth-feel than a straight full-bodied Shiraz. The French have been blending Shiraz and Viognier for yonks, and there are plenty of other Australian makers have done the same thing to soften their fuller-bodied Shiraz. 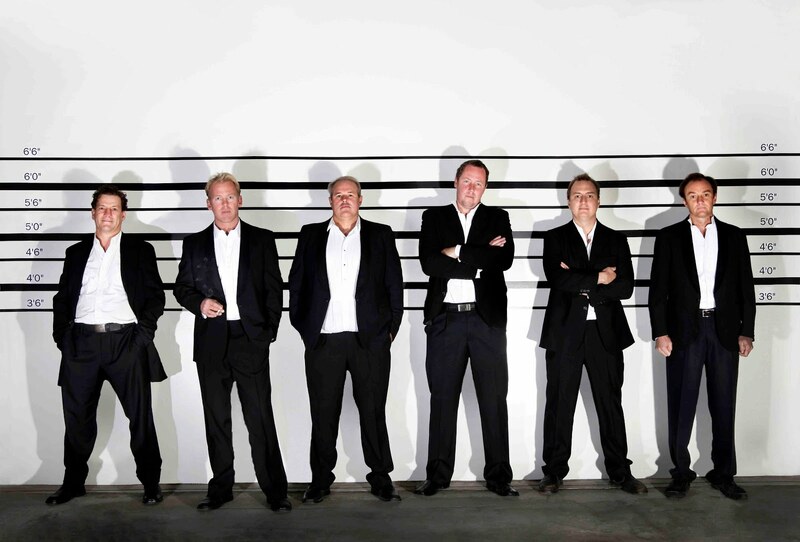 But what McGuigan's Chief Winemaker, Neil McGuigan did with their 2012 Expressions Shiraz was to give his winemaking team a free rein to create a wine that particularly appealed to younger, female consumers. "We were thinking of those 25 to 44 of age who don't profess to be connoisseurs, but feel wine enjoyment is a part of enhancing their lifestyle, and who are not afraid to try things new," said Neil. "We've actually taken the concept to a number of varietals under the Expressions label, including Moscato, Sauvignon Blanc and Pinot Grigio." enjoy with salads and white meat dishes. But it's the Shiraz with that touch of Viognier that we found particularly enjoyable, and which we're sure will appeal as much to plenty of males as it will to Neil's female target audience. This one has nice juicy berry flavours with suggestions of vanilla in the background, the Viognier adding a floral dimension and a silky soft finish. Pay an easy $16.99 and enjoy with roast duck and plum sauce. ONE TO NOTE: A Goose Island label 2012 Sauvignon Blanc from South Australia's Serafino Wines highlights the wonderful fruit to be had from the small Mt Benson area about 15km north of Robe on the Limestone Coast – a region that enjoys an excellent Mediterranean-like climate, with this wine full of tropical fruit, fresh lemongrass and zesty citrus flavours and suggestions of gooseberry and fresh-cut grass on the palate. Winemaker Charles Wish used fruit picked in the cool of night to create this wine that's well-priced at $15, and is a nicely refreshing drop to enjoy on its own, or to match-up well-chilled with salads and white meat dishes. HOPEFULS who flocked to Central Victoria's Bendigo with the 1850s gold rush brought with them not just a hunger for gold, but for the good life they hoped it would bring – and within five years of their arriving, others drawn by reports of the area's wonderful agricultural lands were equally rushing in to plant wine grapes to ultimately slake the thirsts of the newly-rich. Today the rolling hills of the Bendigo region continue to produce exceptional wines, amongst them BlackJack Vineyards whose Chortles Edge label walks off the shelves as a wine that truly over-delivers at its price point. 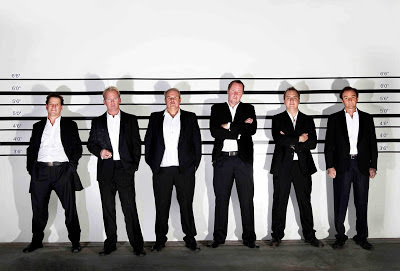 Their just-released 2010 Chortles Edge Shiraz is a great drop, made from a vintage that was quite remarkable: 2008 and 2009 had both been bleak drought years, while 2011 and 2012 were years of torrential deluges. "You could almost say 2010 was an idyllic vintage squeezed-in between those other years," says Ian McKenzie, who shares ownership and winemaking duties at BlackJack with Ken Pollack. "The rain we got in 2010 came just at the right time, falling mostly at night to refresh the vines and slow ripening a bit, giving us perfectly-conditioned fruit," Ian says. And the resultant wine shows it with lots of juicy shiraz fruit flavours and nice tannins to finish – making an enjoyable drop to enjoy now or to develop further over three or four years. salad, will go ideally with this one. Excellent value at $18, this one has "big steak off the barbecue" written all over it. ONE TO NOTE: FIFTH Leg's 2012 Semillon Sauvignon Blanc made from fruit from across West Australia's various growing regions is a wine filled with varietal zesty and vivacious fruit flavours, and highlighted with tropical notes of lychee and passionfruit. So-named after the fossilised remains of a Tasmanian tiger with a bizarrely fifth leg were found near parent company, Devil's Lair Winery in Margaret River, this is a label to keep an eye on for good value, fresh and easy drinking wines. Pay $17.99 for the 2012 Semillon Sauvignon Blanc and enjoy with seafood, or cold roast chicken and salad. lamb or Italian penne arrabiata. BILL Calabria and his team at Westend Wines in the NSW Riverina have created a ripper Shiraz in their 2010 Richland label – a wine with forward ripe berry-fruit flavours, smoky oak and nicely recognisable varietal spicy black pepper. Westend's premium commercial label, Richland is dedicated to Bill's parent's, Italian migrants Francesco and Elizabeth who founded Calabria Wines in 1927; Bill changed the name in 1974 as the company expanded and diversified its range. This is a Shiraz to enjoy now with rosemary scented lamb and balsamic vinegar, or in deference to Bill's Italian heritage, with penne arrabiata. Or at just $12.99 a bottle, to put a case in the cellar for a few years to develop added complexity. 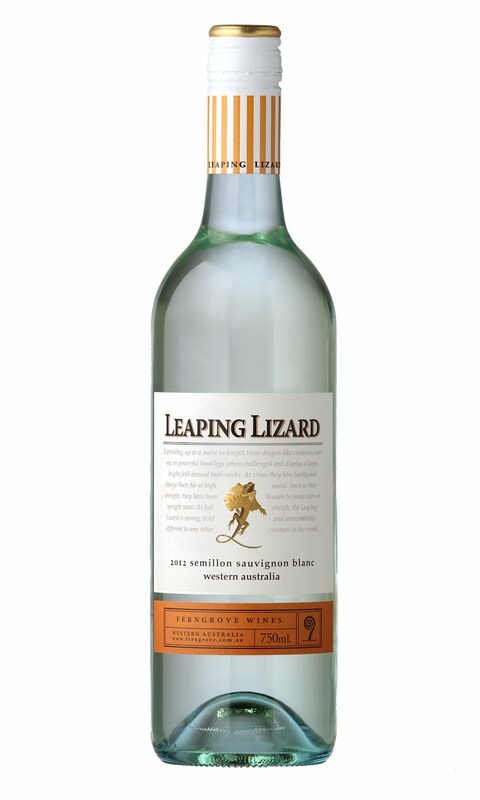 TWO TO NOTE: WEST Australian Ferngrove's Leaping Lizard range includes a nice 2012 Semillon Sauvignon Blanc crafted from fruit from a number of vineyards across the State's growing regions, and is good value at $16.99. 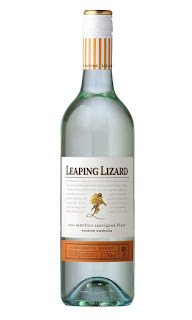 Chief Winemaker, Kim Horton has created a delightfully light-bodied wine in this one, with zesty kiwi fruit, passionfruit, lime and tropical fruit flavours balanced by a zippy acidity. Enjoy it with chicken and salad or a seafood platter. 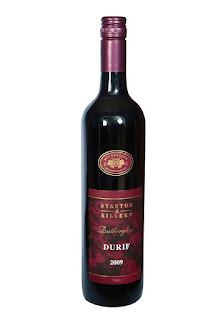 VICTORIA'S Stanton & Killeen have released a 2009 Rutherglen Durif that shows why this region is gaining such respect for the variety: at $35 this one's luscious and juicy with ripe fruit flavours that immediately fill the mouth, structured tannins, and a finish of chocolaty cherry ripe flavours. such a reputation for Durif. 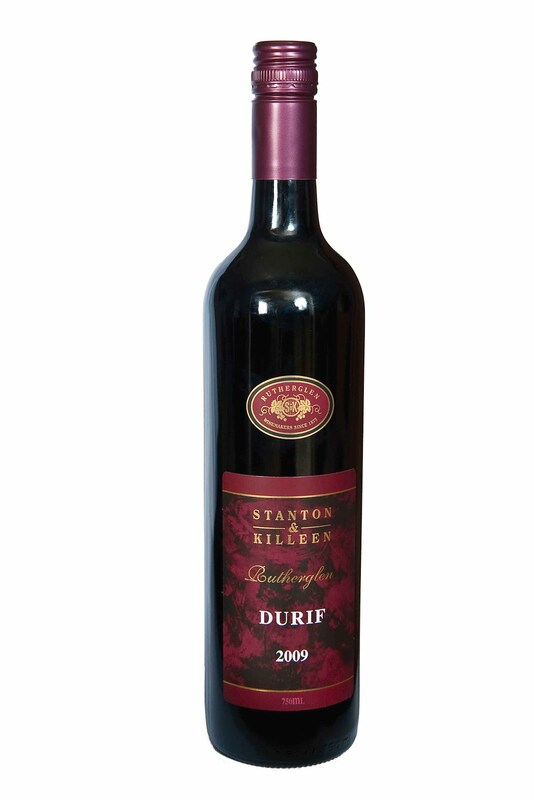 Durif was first planted in Rutherglen in 1908 but it's only in the last decade that so many lovers of this variety have come to appreciate just how good the local drop is. with spag and meatballs or tomato meatloaf. FIGHTING mildew for the whole growing season and a couple of pretty severe thunderstorms ripping a lot of the leaf canopy away – and some of the fruit as well – hardly seems an ideal start to making what's turned out to be an excellent wine. 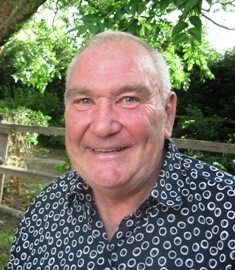 But that's what happened to Andrew Margan on his vineyard at Broke in the NSW Hunter Valley in 2011, and he says those adversities in fact led to fruit he subsequently harvested having great concentration of flavour, tannins and colour that's been reflected in his 2011 Margan Merlot. And interestingly the vines for this wine were grown on their own roots, rather than being grafted – something he says local sceptics shook their heads about, but which he says he's glad he did and has been well-rewarded by. His 2011 is a marvelous Merlot that's got a fresh, fruit-driven palate with forward plum and mulberry flavours and quite delicate spice. It's one to enjoy young or for a bit of cellaring to develop earthy regional Hunter complexity. Pay $20 and partner it with spaghetti and meatballs, or a tomato-infused meatloaf. 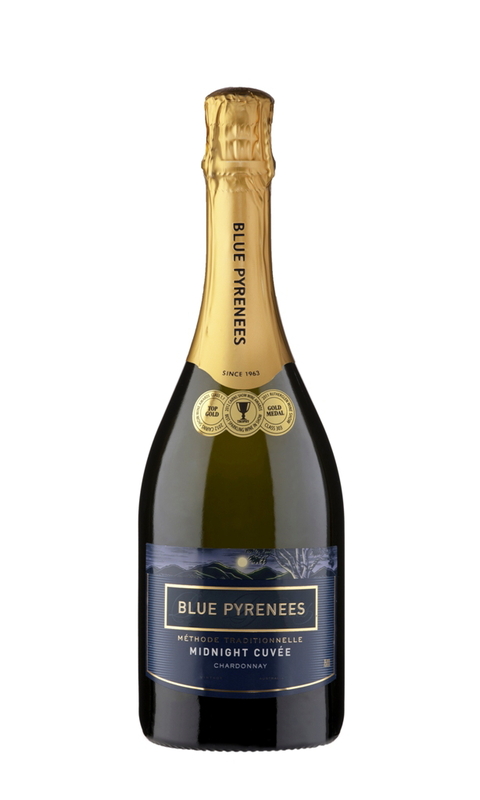 ONE TO NOTE: BLUE Pyrenees that was founded by French Champagne houses Krug and Charles Heidsieck in the Pyrenees region 180km north-west of Melbourne in 1963, has done marvels with its signature sparkling Midnight Cuvee. The latest release, the 2009, continues the tradition of the fruit being handpicked under the light of a full moon to avoid fruit damage in the heat of the day. A great drop for anytime celebrations, pay $32 and enjoy well-chilled at that next party – or with caviar-topped creamy scrambled eggs and a warm crunchy baguette for a special-occasion Sunday brunch.